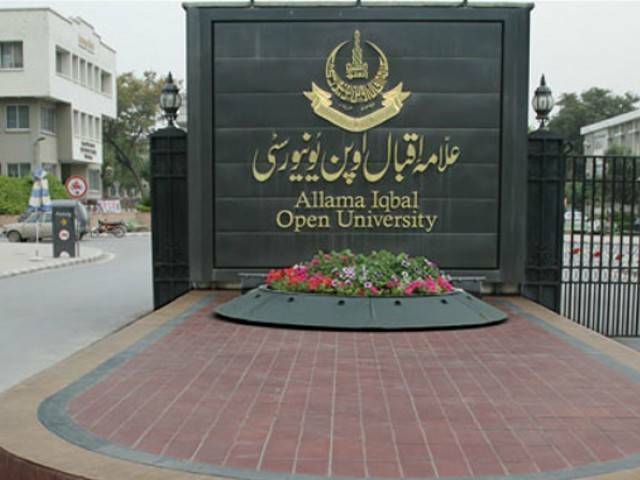 ISLAMABAD: Allama Iqbal Open University (AIOU) completed its first phase of its three-month adult literacy programme that facilitated its 30 lower-grade employees to get basic know-how about Urdu and English languages. The successful participants of the programme were awarded medals and certificates at a ceremony held here at the university’s main campus. Higher Education Commission (HEC) Chairman Dr Mukhtar Ahmed appreciated the university’s literacy programme and hoped that such an initiative would help to promote educated culture in the country. He said the university had done a great job by providing necessary education to its own illiterate employees, drivers, peons and gardeners. The ceremony was presided over by AIOU Vice Chancellor Professor Dr Shahid Siddiqui, who highlighted the varsity’s consistent efforts of meeting educational needs of the less-privileged and deprived sections of the society. Dr Mukhtar said that the decision of the university to provide free Matric education to the students of Balochistan and Federally Administered Tribal Areas (FATA) from next semester was praiseworthy, adding they were also going to set up their regional office in FATA to facilitate those people who wanted to receive modern education. He further said that the HEC had already started a similar literacy programme for its lower grade employees. He hoped that other institutions would also follow the same system. Providing education to illiterate people was a noble cause and a big service to society, he added. The HEC chairman also said that education was the only way out to ensure quality living. Talking to reporters, the successful employees said that the programme enabled them to meet some necessary requirements like writing an application or filing their salary cheques. The programme was arranged and designed by AIOU’s Distance and Non-Formal Continuing Education Department, while the department’s Director Dr Muhammad Ajmal said it would serve as a model to teach those who could not avail schooling facility from an early age. The same programme would be undertaken at the regional level as well, he added. It is pertinent to mention here that the initiative taken by the AIOU vice chancellor was also aimed at capacity-building of the staff and facilitating them to deliver the best in performing their official duties. The facility was free of cost and the university’s senior faculty members voluntarily performed the additional duties of educating the less-privileged people. The ceremony was also addressed by AIOU Education Department Dean Dr Nasir Mahmood and Dr Afshan Huma, who highlighted the unique features of the programme and the dedication shown by the learners and the faculty. The ceremony was also attended by Science Department Dean Dr Naghmana Rashid, Social Sciences Department Dean Dr Samina Awan, and Arabic and Islamic Studies Department Dean Dr Moeenud Din Hashmi.